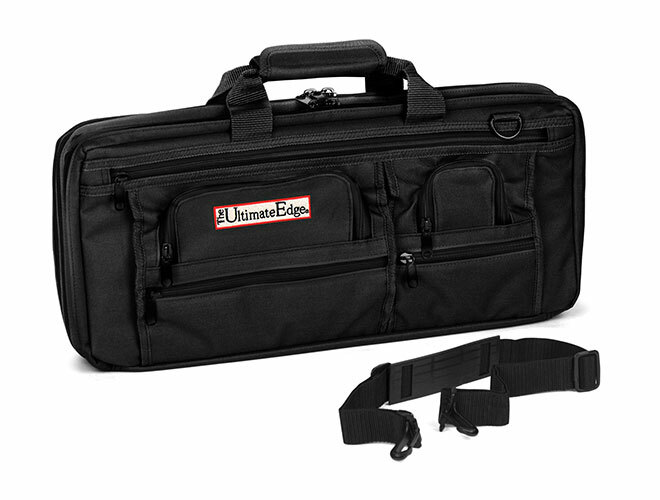 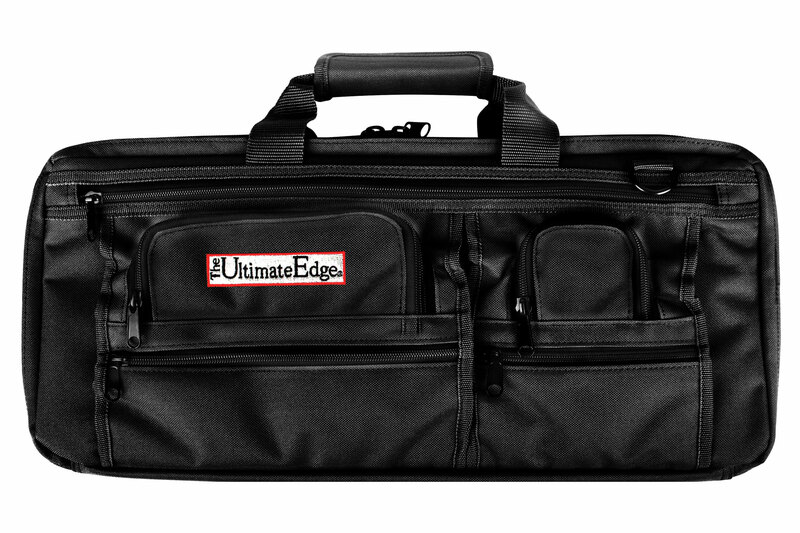 https://www.cutleryandmore.com/ultimate-edge/deluxe-knife-case-p124318 24318 Ultimate Edge Deluxe Evolution Knife Bags https://cdn.cutleryandmore.com/products/large/24318.jpg 112.2000 USD InStock /Cutlery/Knife Bags & Rolls This Ultimate Edge Evolution Deluxe Knife Bag can hold up to an 18-inch knife, designed for both the professional and home chefs on the move. 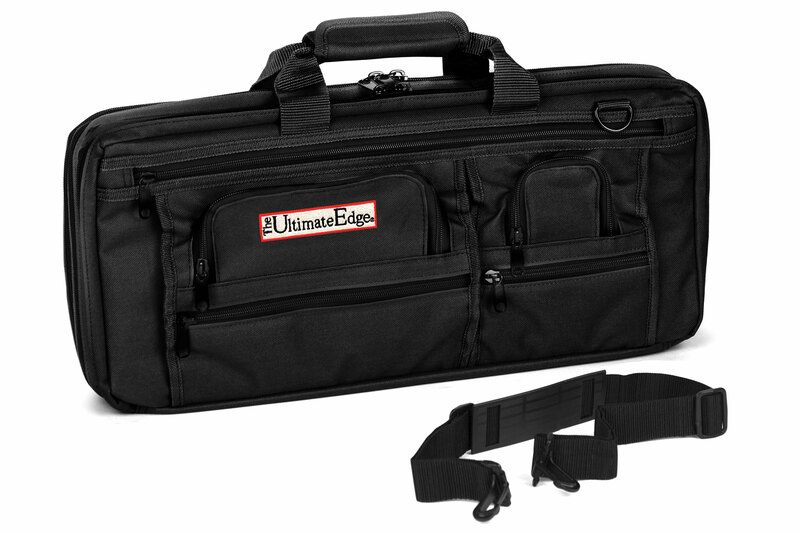 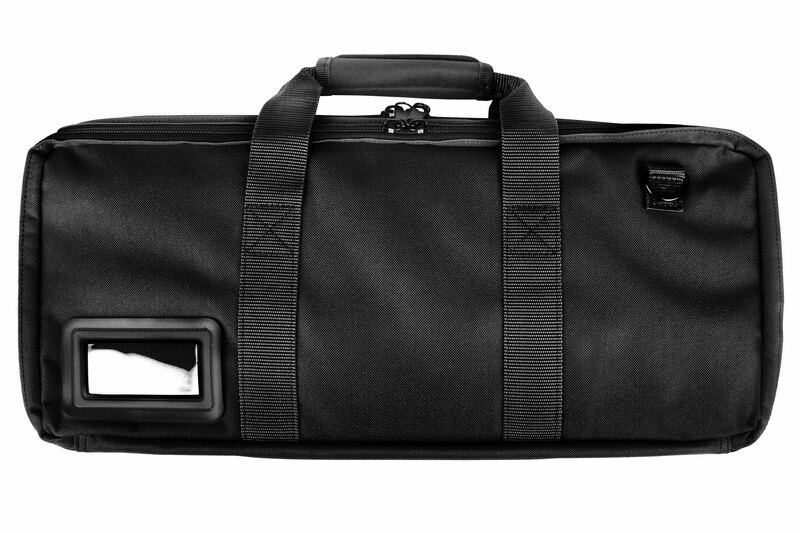 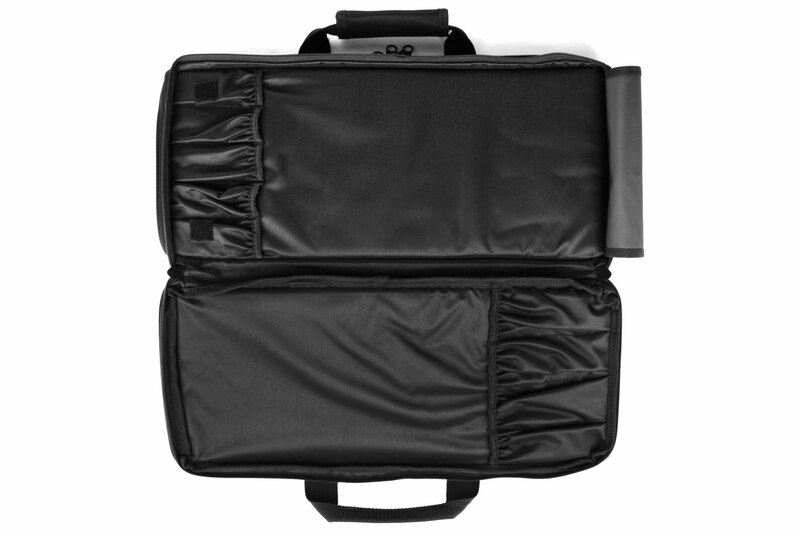 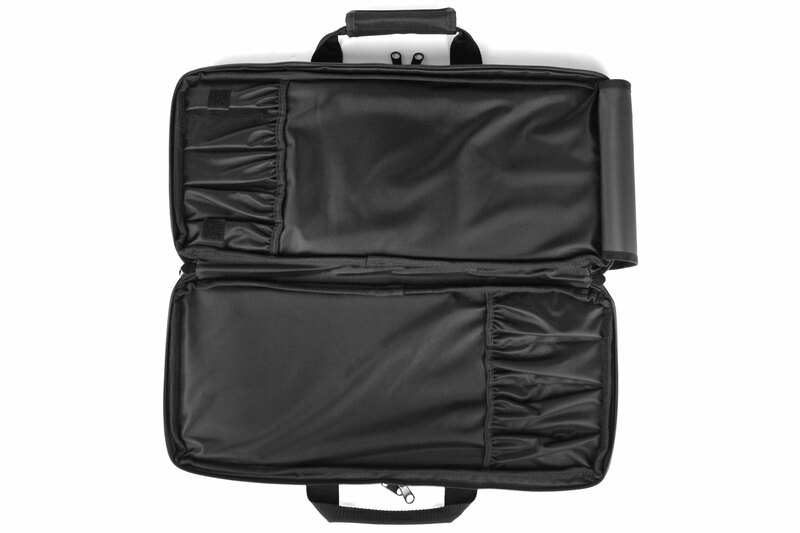 Features a fully lined inside with the addition of a fully reinforced padded carry handle, interior mesh accessory pockets, D-rings to accommodate the included deluxe shoulder strap, exterior business card holder, and 5 front zipper accessory pockets. 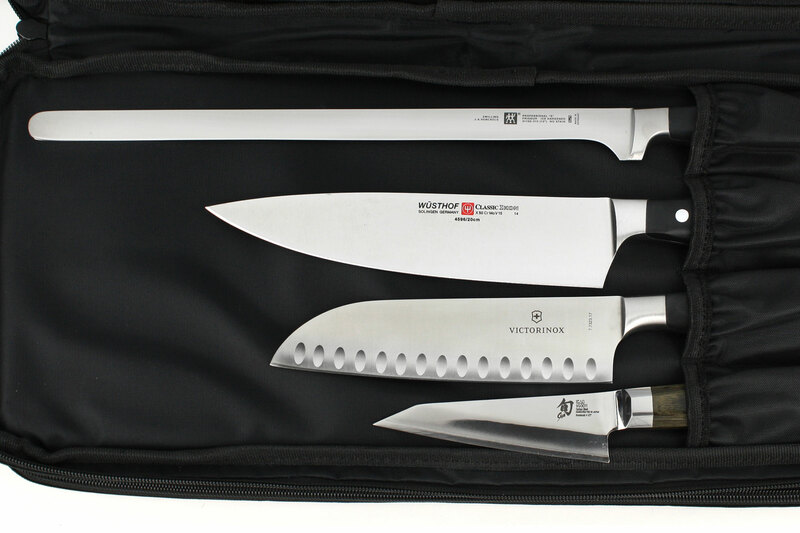 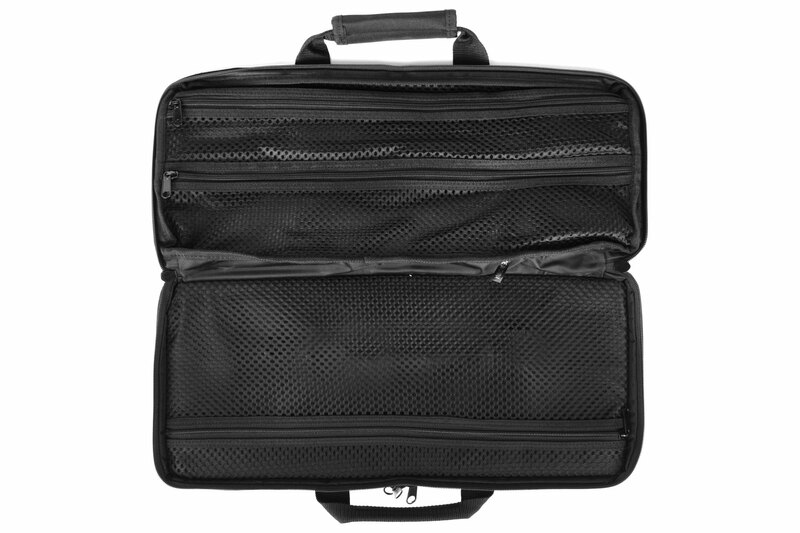 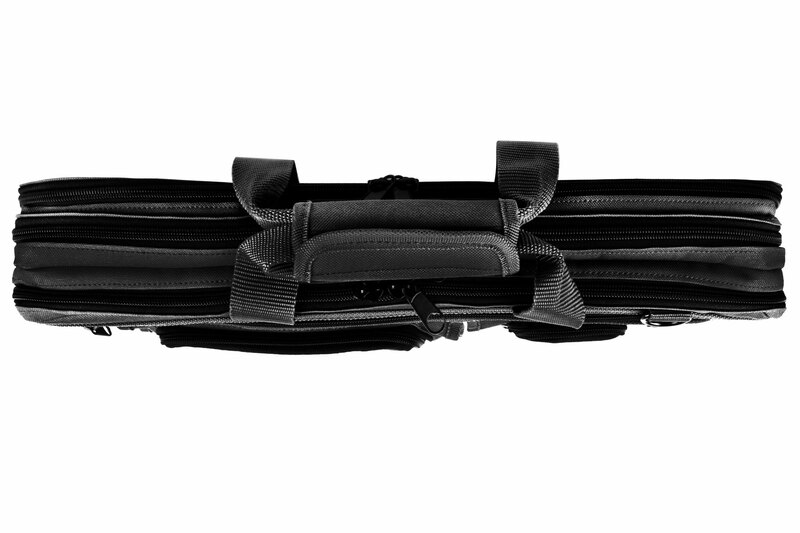 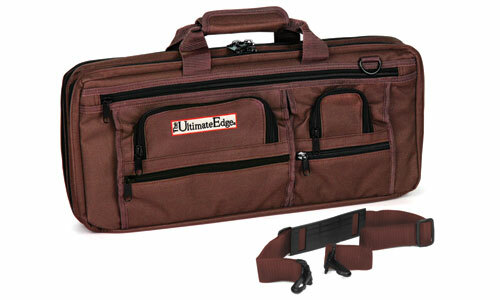 Offers both PVC laminated 600 denier polyester and the highest quality metal zippers that seals the knife roll closed.